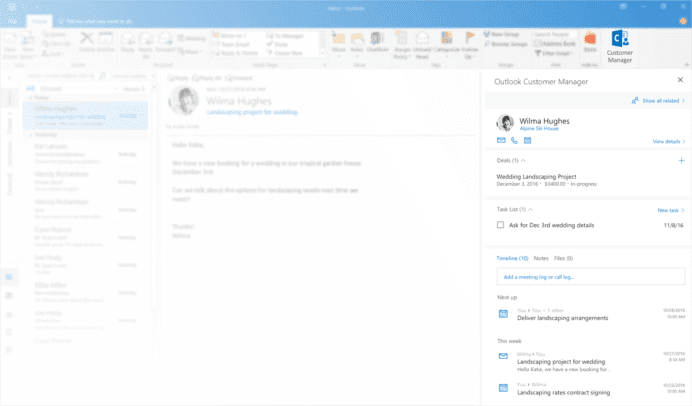 On Monday, Microsoft announced the launch of Outlook Customer Manager as a free extension to Office 365 Business Premium plans. The move marks Microsoft’s entrance to the free small business CRM arena, at least for customers already invested in the online suite, and might serve as an entrance ramp for customers interested in Dynamics CRM. The Outlook Customer Manager provides basic CRM functionality within the Outlook client. It automatically organizes contact, lead and task information within a window alongside the email view. This window shows details on whichever contact you’re engaging in a selected email – their name, organization, ongoing projects and upcoming events along with buttons to email, call or add them to your calendar. You can add new tasks, new projects, show related contacts and look closer at the details. Outlook Customer Manager also has four distinct dashboard views, two of which are fairly typical (Contacts and Companies) and two that will characterize the platform. The Today page, which is the first you’ll see, lists the day’s activities, deals, interactions and events. It prominently displays a to-do list of tasks that can be checked off. 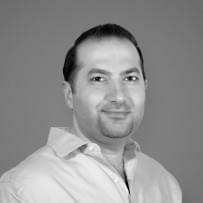 This page also informs you on birthdays, unread emails, deal summaries and recent contacts. It’s unclear yet whether the arrangement or display of the modules will be customizable; time will tell. Outlook Customer Manager has a second dashboard view of note, which is the Deals page. On this page, you can filter active deals and focus on promising leads labeled by name, company, contact person, status, pipeline stage and forecasted close date. 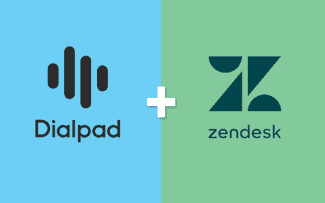 In other words, it offers basic opportunity management – not as developed as other free small business CRMs, like Insightly, Zoho CRM or Capsule CRM, but those three won’t integrate nearly as closely into your Outlook email account as Outlook Customer Manager will. 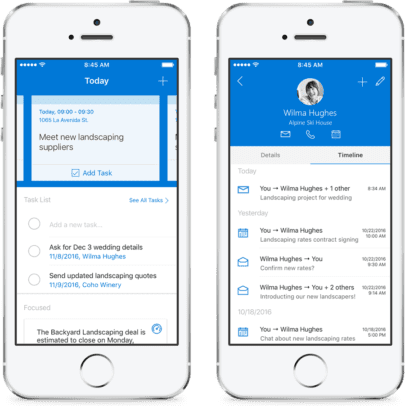 Outlook Customer Manager also offers a mobile app for iOS, with plans to bring the app to other mobile platforms in the future. Most mobile CRM apps don’t include the full functionality of their browser or desktop versions – allowing for a lighter and faster user experience – and Outlook Customer Manager would likely do the same. However, you will still be able to check contact information and recent communication, write internal notes, and use your phone’s camera to scan business cards, which automatically creates a new contact. 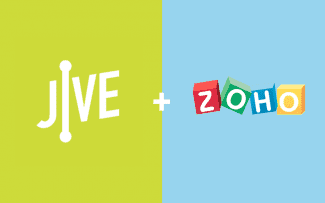 The latter feature further establishes the Outlook Customer Manager mobile app among the ranks of Insightly, Zoho CRM and Capsule CRM – all of which have free versions, mobile apps and offer business card scanners. Microsoft is certainly not new to the CRM space. Microsoft Dynamics CRM has been one of five major players in the industry, and was combined this year with Microsoft’s ERP cloud products under the rebranded umbrella of Dynamics 365. Native integration with Office 365 could appeal to users on the cusp of a CRM upgrade and entice them to stay in the family, so to speak, rather than seek out industry giant Salesforce. 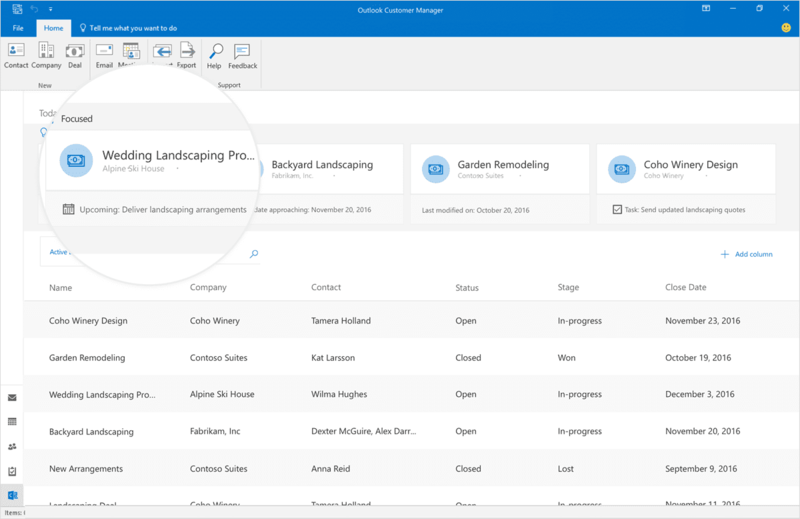 Outlook Customer Manager is a free small business CRM being rolled out for Office 365 Business Premium subscribers, starting with those in the First Release program and continuing worldwide in the coming months. New to CRM? Check out our Beginner’s Guide to Understanding Types of CRM.